Many of us enjoy the ability to drive cars. At our classic car show a couple weeks ago there were several cars that many of us would love the opportunity to drive. One fact that makes most of those cars “classic” or unique to observe is the fact that they were made over a generation a go. This creates a wonder and intrigue about how far the technology of auto-mobile making has come. The sophistication and power of car engines and transmissions has come a long way. One feature that is fairly recent is that of an overdrive gear in the transmission. Overdrive is commonly used in modern vehicles, allowing engines to operate in high gear ratio while still saving both engine wear and fuel economy. When switched on, the overdrive gear gives a vehicle more power and efficiency while functioning on the road. Many Christians live as cars without overdrive. They fail to ever get in high gear, living with the joy and contentment God intends for them. They are haunted by past sin and failures. Life becomes a demanding load to bear and therefore makes everyday a difficult journey. It is like sand in the fuel tank bogging down the car. The good news is that God did not intend life to be journeyed as such. God gave us Jesus so that we can live in overdrive. Jesus’ salvation is meant to provide an alternate high-gear to produce better effectiveness in life which is a result of sin forgiven and life turned toward God. The key to understanding the overdrive gear for the Christian life is what Paul would call spiritual transformation. 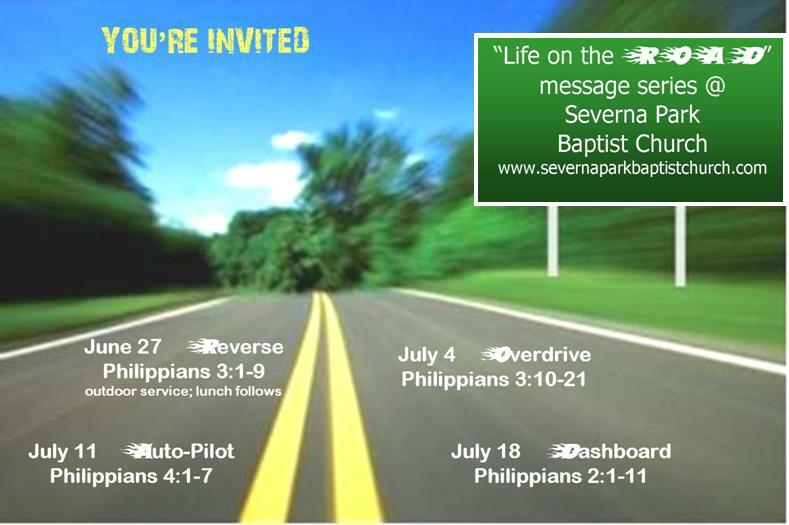 Overdrive starts at salvation (3:9-11). Paul came to know God not just in knowledge but in a life-shaping way. His entire life was devoted to religious study of God’s law. He had accumulated a measure of facts about God and His commands. But in meeting Jesus his knowledge became deeply personal (see his words “my Lord” v.8) transformed both his mind and heart. When Paul met Jesus he realized his life was not about earning self goodness but embracing God’s grace. The human heart by itself stands in the way of God’s wrath. But God removes that barrier through His grace and taking the punishment of sin upon Himself in dying on the cross. 1) If you could sin and have no one find out, what sin would it be? The answer to this question reveals your true heart. We should not be happy with any sin against God, regardless if others know. Supremely, God sees your every action and knows your heart. You must learn that only God will give you true and lasting joy, which sin can never do. 2) If you were to go to heaven and enjoy all it has to offer: streets of gold, comfortable places to live, beautiful scenery, bodies without pain or death, enjoyable actions with passed loved ones. But, what if Jesus were not in heaven, would you still want to be there? This answer reveals that created things are your god rather than Jesus as your God. Christianity is more than just being afraid to go to hell so we apologize for sin to go to heaven. Christianity is about knowing Jesus and what He’s done for you in the gospel and to want and treasure Him above everything else in all of life. Jesus is the reward not His blessings. Overdrive gains through growth (3:12-21). One of the greatest things about this passage is that it not only provides the ideal for the Christian life but it also provides a realistic view towards life. Paul is honest about himself. He shows where he failed and reminds us that we never “arrive” or are without challenge in the Christian journey. Every Christian must understand that life is an ongoing pursuit of being like Jesus (3 verbs: press on, strain forward, press toward). It is a divine understanding that God does all the work in your salvation and sanctification but we also cooperate in responding with Him. The point is that we must grow spiritually if we are to experience resurrection power and production in life. v.12a Humility: Paul admits his imperfection. This seems like an easy step in the process but it’s more than admitting guilt. Humility confesses failure and pursues God as the source of righteousness. Humility also understands the long-term perspective of growth. Our culture is not humble. We live in a strong self-made society with machines that fly into space. We live in a micro-wave society with the rapid advancement in technology and business. We are a people who have bought the lies of bigger is better approaches, get rich quick plans; all with minimal effort. – So when our lives encounter difficulty we have come to expect a quick fix spiritually. Yet, Paul is reminding us to REVERSE such thinking. This is a reminder that Christian maturity cannot be manufactured overnight with a church program or counseling formula, nor are there any steroids to boost and shortcut the process of growth. It only happens by humbling ourselves under God’s grace and persevere in Christian maturity. – When we understand this principle we will realize that unwanted circumstances are God-given opportunities for growth, not experiences to pray for removal. God cares for our holiness more than our happiness. v. 12b-14 Assurance: Paul reminded himself he belonged to Christ. His past was not held against him. There was no condemnation for him but he was compelled by grace to press forward. v. 15-21 Communal Change: Paul exhorted the Philippians toward maturity. It happened in the context of encouraging each other and imitating the godly example of others. Ultimately, sanctification would be fulfilled in the return of Christ. Paul begins to close his exhortation to the Philippians about spiritual formation by calling to attention that their ultimate fulfillment in the coming kingdom of Christ. The Christian’s citizenship is in heaven where Jesus is both Savior and Lord and has promised His people to return and transform their bodies into gospel-empowered glorified bodies. Their citizenship was not just connection to a place but also to a Person. This would be an inspiring reminder to the Philippians as not just citizens of the great kingdom of Rome but also of Christ which will last forever. On July 2, 2010, preservation scientists at the Library of Congress discovered that Thomas Jefferson, even in the act of declaring independence from England, had trouble breaking free from monarchial rule. In an early draft of the Declaration of Independence, Jefferson wrote the word “subjects,” when he referred to the American public. He then erased that word and replaced it with “citizens,” a term he used frequently throughout the final draft. Citizens have rights and freedoms where as non-citizens are slaves. As Thomas Jefferson was conditioned to consider himself a subject of a former monarchy, so we too are prone to the same. Yet, Jesus has freed us as slaves to sin and made us citizens of heaven (Philippians 3:20). D. Martyn Lloyd-Jones, Spiritual Depression: Its Causes and Cures, pp. 20-21.